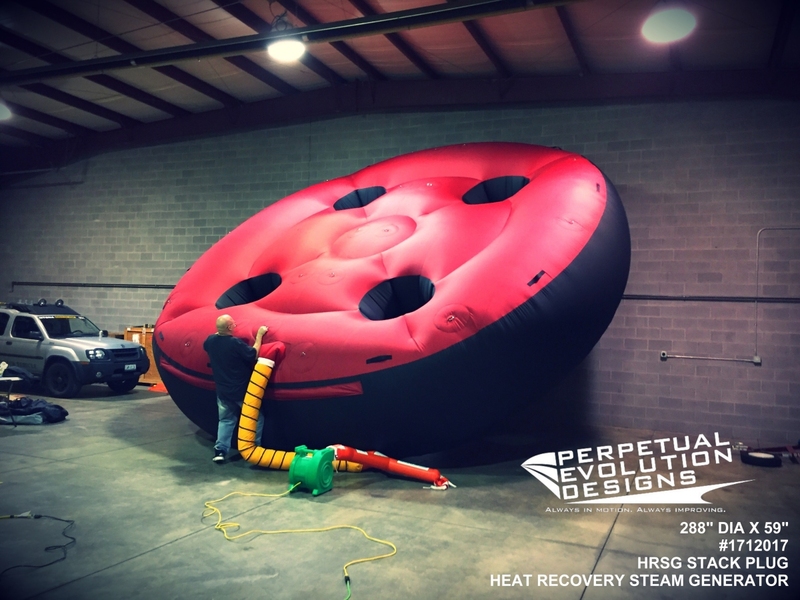 High Temperature Duct Plug fabricated for First Energy. 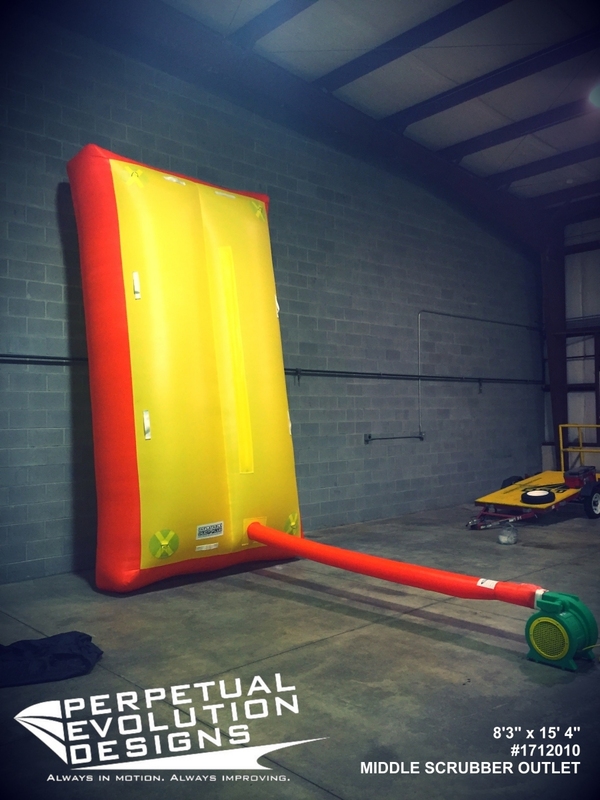 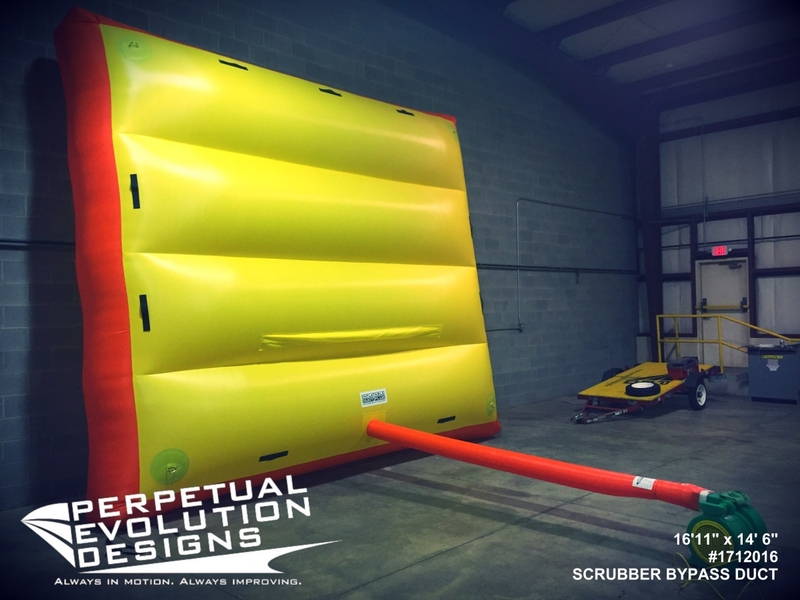 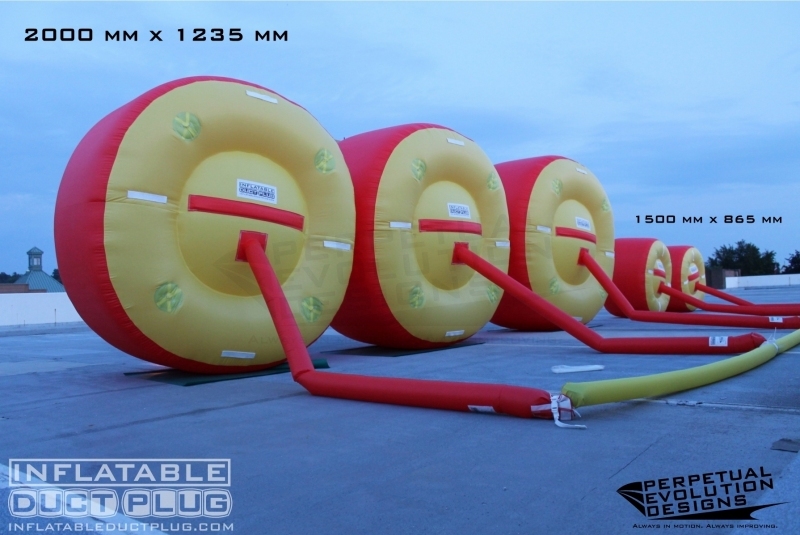 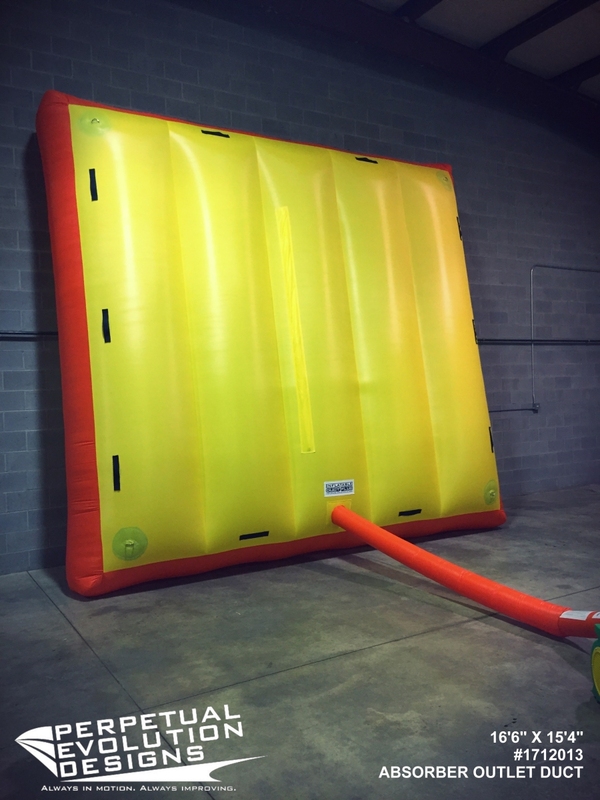 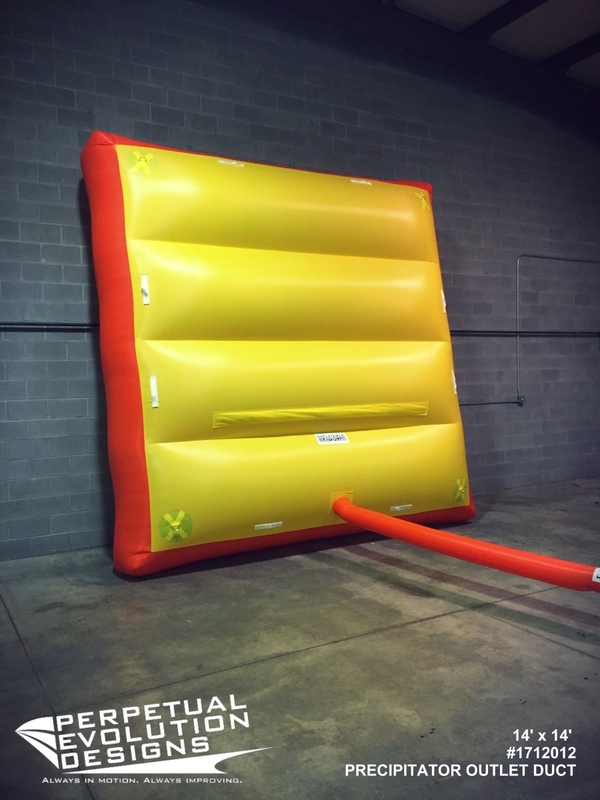 This inflatable is used during the maintenance of the scrubber. 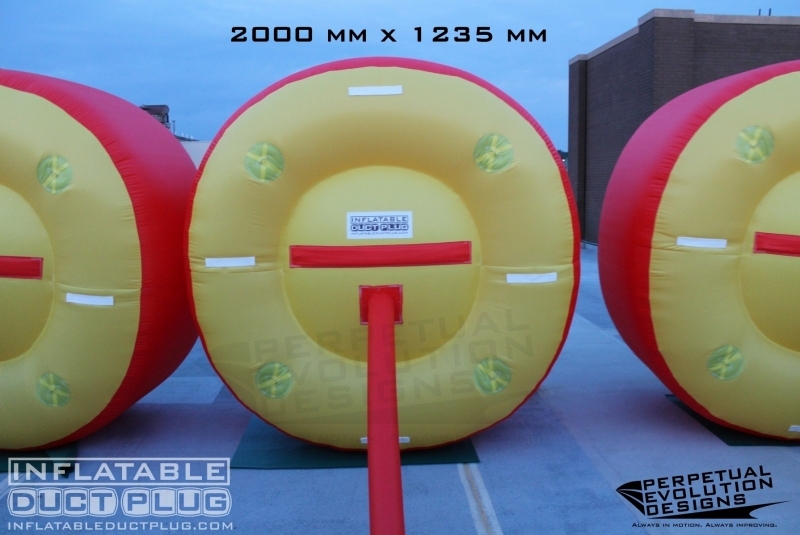 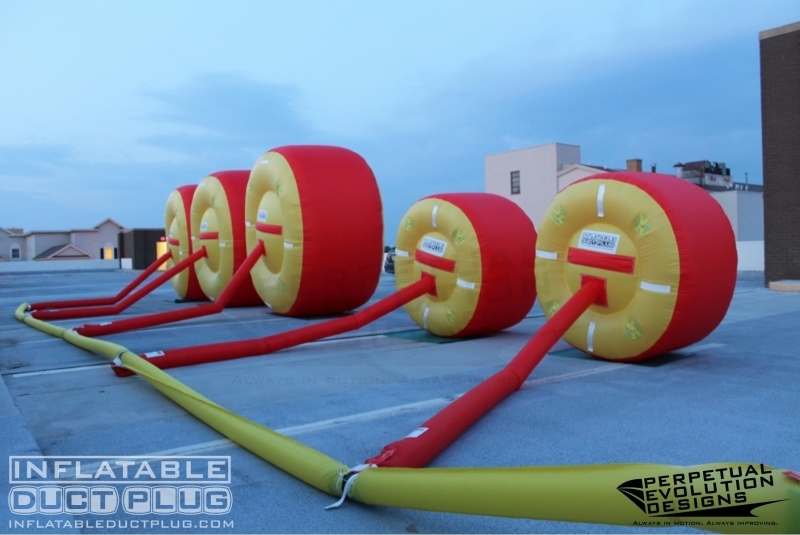 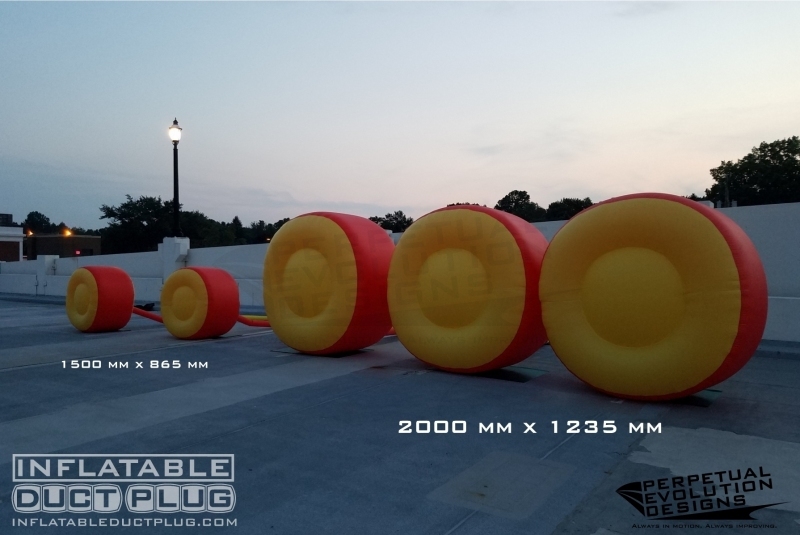 It is constructed using Silicone Coated Fiberglass Fabric and Kevlar Thread. 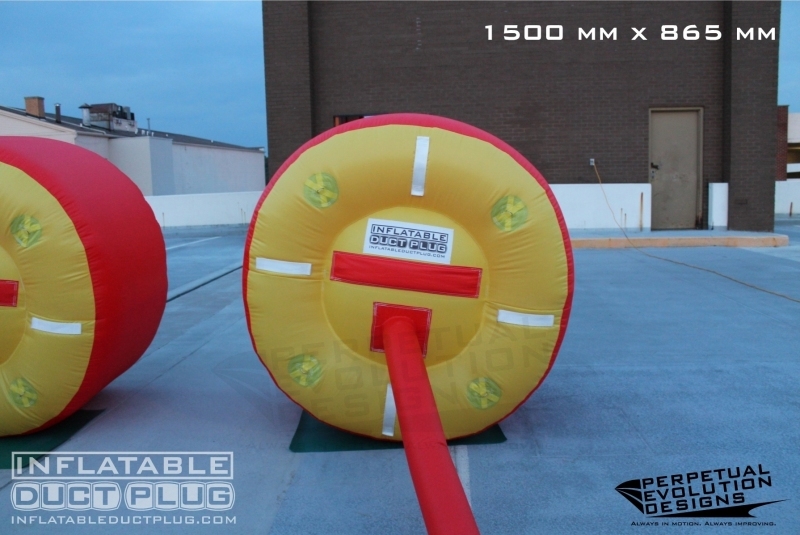 It was equipped with a 2 blower system (not shown here) and circuit interuption alarms.